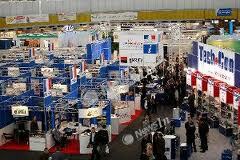 Home » Comments , Markets , News » Official declarations after Moldova Eco-Energetica 2012. Official declarations after Moldova Eco-Energetica 2012. 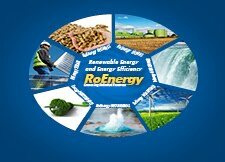 "The use of renewable energyy sources and increasing the efficiency of energy use are a priority for the Republic of Moldova. This reform aims to enhance the energy security of the country, diminish the dependency on imports, create new jobs and not at last, protect the environment. I salute the initiative of launching a competition that acknowledges the most notable accomplishments in the area of renewable energy use and energy efficiency. I am confident that the success stories promoted today will encourage others to follow the example”, declared Vlad Filat, Prime-Minister of the Republic of Moldova, during Moldova Eco-Energetica Awards Ceremony. „I am enjoying the fact that Moldova Eco Energetica Fist Awarding Edition takes place in 2012 – the year declared by the UN General Assembly as the International Year of Sustainable Energy for Al – an Initiative supported by 60 Governments, the Moldovan Government inclusive”, Cihan Sultanoglu, Deputy Administrator and Director of the UNDP Regional Bureau for Europe and CIS has pointed out. „The success of any completed reform shall be measured not just by the Authorities; every Member of the Society should be involved. When ordinary citizens, private sector and civil society launch initiatives unfolded hand-in-hand with the Government endeavours to reform the Energy Sector, we can speak about true reforms. The Success Stories awarded today may serve as such evidence”, Dirk Schuebel, Head of EU Delegation in the Republic of Moldova has stated.